This record exists only in a few copies. 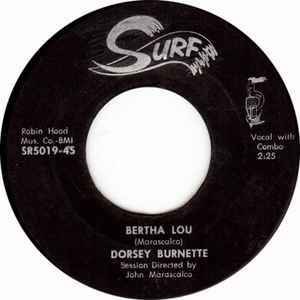 Because Dorsey Burnette was under contract, the single was withdrawn. The song was re-sung by Johnny Faire. It was released again under the same catalogie number Surf SR-5019-45 in December 1957.